Museums of St. Louis - SLAM! 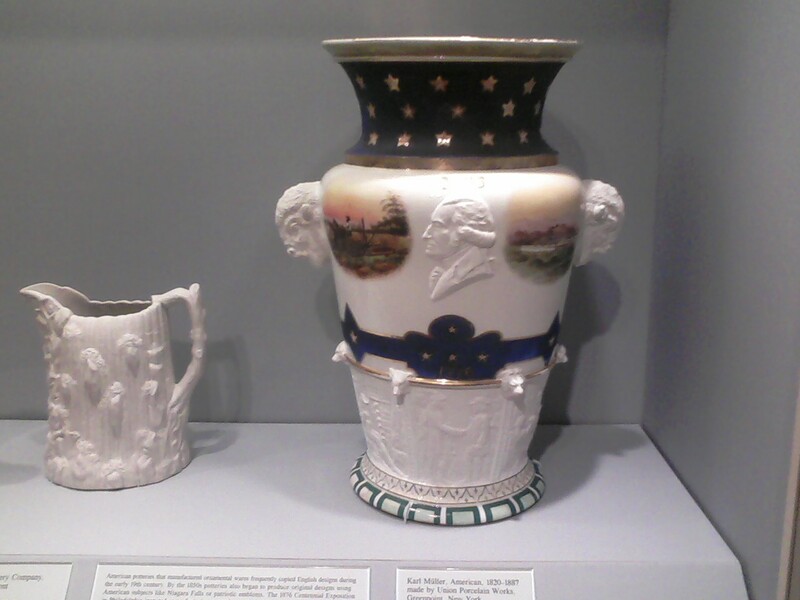 One thing that we loved about St. Louis this summer was all of the free museums. One such museum is the St. Louis Art Museum (SLAM), with it's world-class collections of famous artists like Monet. While not such a classical masterpiece, my favorite piece of art was the massive mural of Native American life/exploration of the Mississippi River. 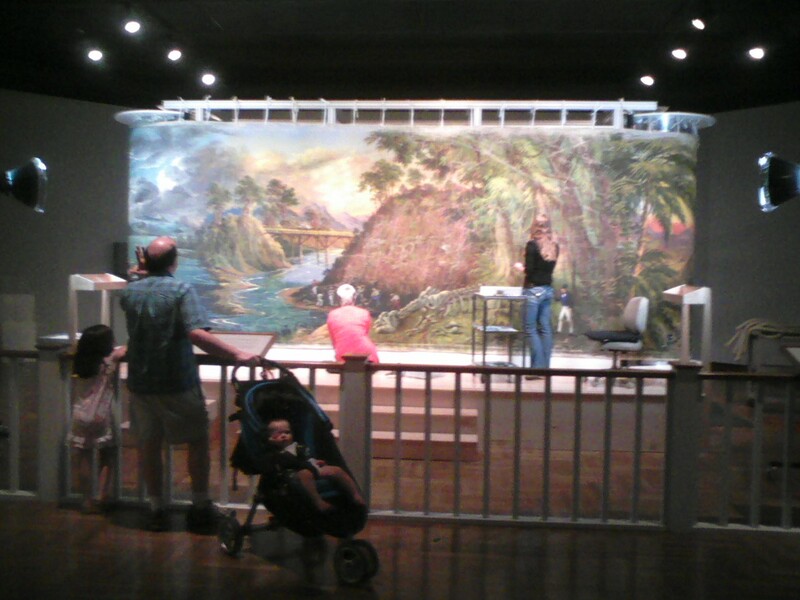 It is the only-surviving example of a popular mid-19th-century fad; people would use these panoramic paintings to travel the country telling tales (often tall ones) about their adventures exploring out "West." As this article puts it, "before there were movies there were panoramic paintings." 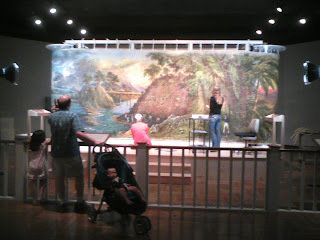 If I understand correctly, the painting (which was probably several hundred feet long) would be put on what looks a lot like a massive roll of film. Through some mechanical means, the picture would be moved along the roll as the speaker told his tall tales. Would have been awesome to see it live. But the next best thing was to see it at SLAM, where professional restorers are doing touch-ups wherever the paint has been eroded or badly faded due to humidity while it was in storage (for 150 years!) Maybe the reason I liked it so much is that it is art and history all at the same time. 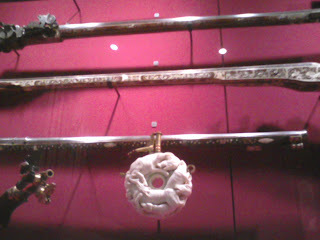 The SLAM also had an exhibit about weapons as art. 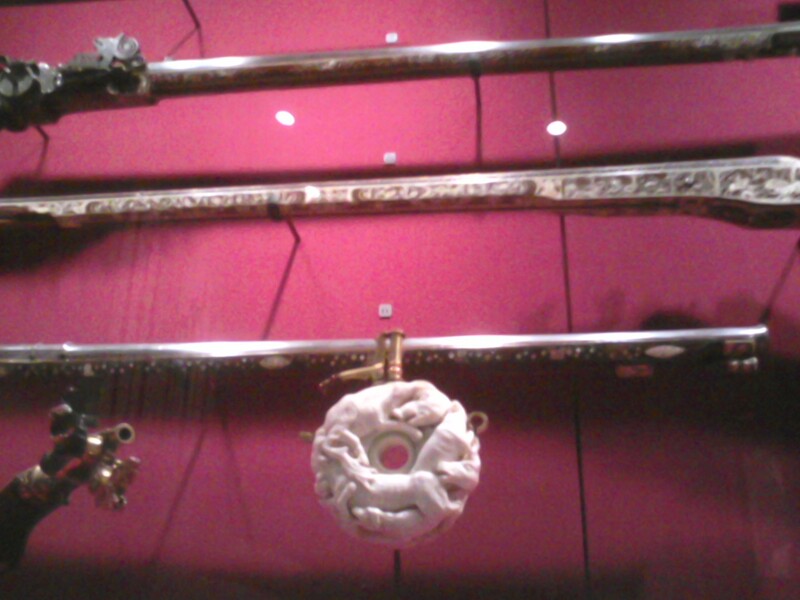 The fancy polished wooden guns from the 14th thru 18th centuries were cool, but my favorite was the gunpowder container: if you look closely, it's "hunting" theme has a bunch of wild hogs and hounds thrashing and gnashing their teeth and gnawing on one another. Much more awesome than camouflage. If I hunted, I would get one of these. The Napoleon Cigar. 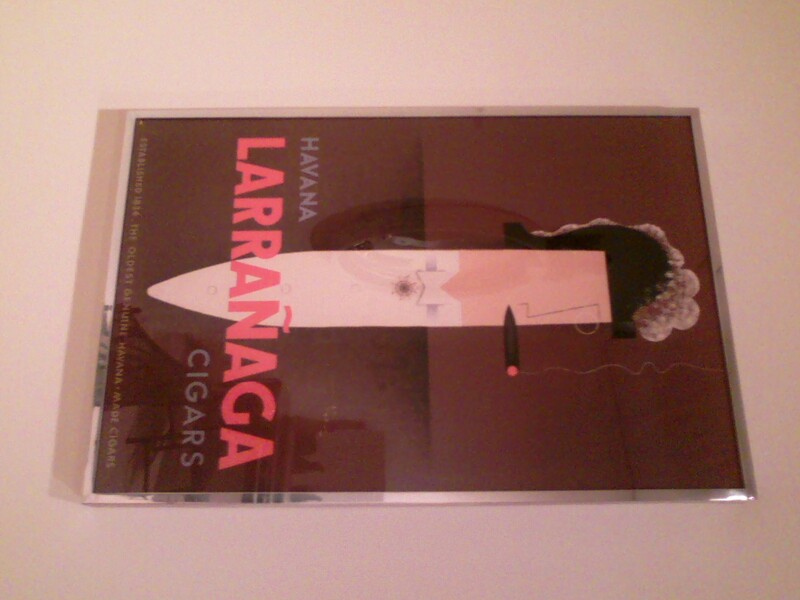 Interesting piece of advertising art from 1932 I believe. Unique piece of Americana. 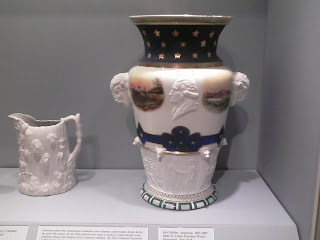 A vase with bison, George Washington, and miniature pastoral landscapes. That's all for now. We'll write again later about the mummies. 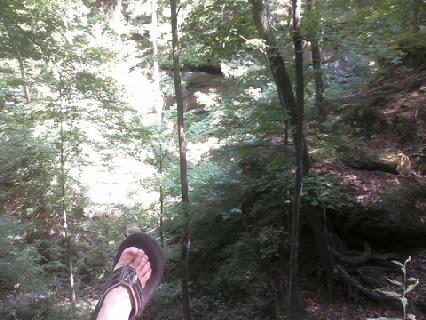 Hard to tell, but believe it or not that is my foot hanging over the edge of a substantial cliff. "A box canyon is a small ravine or canyon with steep walls on three sides, allowing access and egress only through the mouth of the canyon." The coolest part about box canyons is how the sides are very close together. Probably there isn't much more than a hundred feet separating the walls of this canyon going all the way up to the top of it. 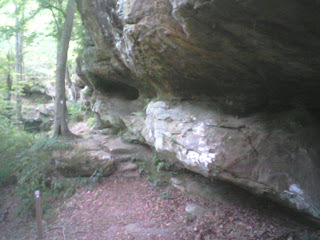 Along the switchbacks winding down to the bottom, there were lots of large boulders with cool hidey-holes underneath them. I decided I would come back someday with Erica and Charles when we live in Indiana again in 2013.